As you may have heard by this point, Lenovo loaded an adware package called Superfish Visual Discovery onto many of its devices. Annoying? Absolutely: Nobody likes an add-on that inserts sponsored links into your search results. But Superfish became downright dangerous when security researchers realized it could easily double as a handy tool for a man-in-the-middle attack, thanks to its ability to always appear as a “Trusted Party” to websites. Check out the latest security-related jobs. The company also insisted that Superfish was never preloaded onto its ThinkPads, tablets, and enterprise hardware; but that means any other devices released between September 2014 and February 2015, including laptops in the company’s popular Yoga line, are apparently vulnerable. After that, users should make sure the SuperFish Certificate is removed from their PCs, as well. Lenovo offers a step-by-step walkthrough for systems running Internet Explorer, Google Chrome, Opera, Safari, Maxthon, and other browsers that rely on the Windows Certificate store. 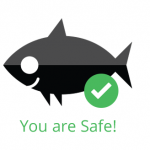 For Lenovo users, a handy Web page from LastPass will also verify whether SuperFish impacted your system. Better safe than sorry. The post Getting Rid of Lenovo’s Superfish Vulnerability appeared first on Dice News. What’s New This Quarter It’s been a tumultuous time for Research Triangle-based employees of both Lenovo and IBM as the two companies work to forge a future that will be profitable for both. After a seventh straight quarterly sales decline, IBM expected to post about $1 billion in “workforce-rebalancing” costs during the first quarter. ( A similar plan in 2013 led to some 3,300 layoffs in North America, including hundreds in North Carolina.) Lee Conrad, national coordinator for the employee organization Alliance@IBM, said the company’s Triangle workforce has dwindled from 11,000 in 2006 to between 7,200 and 7,600 today, not counting contractors or foreign workers on short-term projects. At the same time, PC maker Lenovo will nearly double its presence in North Carolina after agreeing to pay Big Blue $2.3 billion for a line of servers . It’s the second major deal between the two companies. In 2005, Lenovo entered the U.S. market and became a major local employer when it acquired IBM’s PC business and the ThinkPad brand. The new deal will boost Lenovo’s server business exponentially to more than $5 billion in annual sales, and calls for Lenovo to keep about 7,500 IBM employees in 60 countries worldwide — including many in the Raleigh area. Lenovo, which has about 2,500 employees in North Carolina, will nearly double its presence in the state after taking on the IBM workers. Going forward, IBM will focus on its profitable software and services and try to shed more of its lower-profit hardware businesses. Click here to find a tech job in Raleigh. In better hiring news, a $100 million investment at Dude Solutions in Cary will triple the software firm’s 220-employee headcount over five years. The company, which provides cloud-based software that helps schools and other entities manage their IT and energy consumption, is the parent company of both SchoolDude and FacilityDude. TiVo plans to grow in the area as well, announcing that it has acquired Durham-based Digitalsmiths for $135 million. Skills in Demand According to February numbers from the North Carolina Technology Association, the state’s IT job pool is shrinking, down 7 percent in January compared to a nationwide 3.8 percent decline. Nevertheless, the NCTA says there is still a need for skilled employees with expertise in Java , SQL , Oracle DBMS , Windows OS and business analysis . “ Software development continues to be the hottest skill set, specifically .NET , UI and UX along with HTML5 ,” says Chris McCrea, senior regional vice president of recruiting firm Robert Half Technology . “The demand for these skills continues to increase as companies focus on the user experience. We’re also seeing an increase in the need for network and systems administrators with an emphasis on security , help desk / desktop support talent with experience migrating systems to Windows 7 and above, and MongoDB .” Sixty seven percent of the Raleigh technology executives surveyed by Robert Half Technology said that network administration is among the skill sets in greatest demand within their IT departments. Desktop support and Windows administration followed. Local recruiters say demand is strongest for database managers , desktop support staff, Web developers specializing in Java and .NET, business intelligence experts and data warehousing experts. Salary Trends According to the 2014-2013 Dice Salary Survey , the average salary for a Raleigh-based IT professional is $85,559, up 2.3 percent from the previous year but 2.6 percent below the national average tech salary of $87,811. Meanwhile, a survey by RHT reports that 15 percent of Raleigh-area CIOs plan to expand their teams during the first half of 2014. Another 65 percent plan to hire only for open IT roles. Eighty four percent were optimistic about their companies’ prospects for growth in the first half of 2014, and 70 percent felt confident in their firms’ plans to invest in IT projects. Leading Industries Biotech/Science Pharmaceuticals Financial Services Information Technology Healthcare Local Employment and Research Resources NCTechNews News & Observer/Technology North Carolina Technology Association TechJournal Triangle Business Journal WRAL TechWire Related Stories With More IBM Layoffs Due, Vermont Seeks Better Notice IBM ‘Workforce Rebalancing’ Includes Plenty of Hiring Lenovo Acquires IBM Server Business Image: spirit of america/Shutterstock.com The post Raleigh Employers Look for Software Developers appeared first on Dice News .